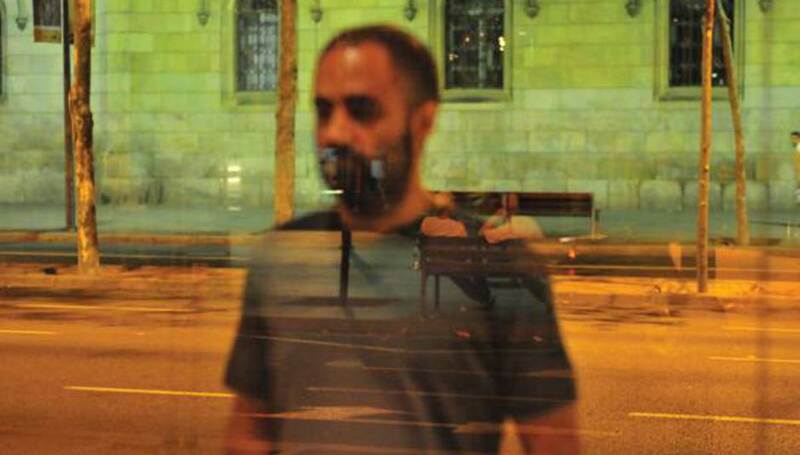 From the spectral minimalism of Martes (his 2002 debut as Murcof) to the brain-rattling mixture of sci-fi futurism and baroque that characterises the soon-to-be-released The Versailles Sessions, the Tijuana-born, Barcelona-based Fernando Corona has always bristled ceaselessly against the conventions of electronica. As he prepares to unleash his latest awing endeavour, Océano, – a specially commissioned suite accompanied by live strings and synchronised visuals – in the UK, the amiable Mexican told DiS about his life's work to date. What were the key musical influences on you when you were growing up in Mexico? Everyone on my father’s side of the family was a musician. It was a natural progression for me to try to make music myself. Also, I listened to my father’s records and to early electronica. One of my main influences was Jean-Michel Jarre, especially the Oxygène album. I was amazed at what you could do with synthesizers. I later purchased records by similar artists like Tangerine Dream and Kraftwerk. After that came the British synth-pop and industrial tracks of the Eighties. Also, at the same time, I listened to a lot of classical music. Electronica and classical are the styles of music I listened to the most whilst growing up and that shows in my work. As an electronica artist what can you draw from classical music? The emotional depth that can be achieved with classical music is not as evident in other types of music and, also, just the warmth of the instruments. It’s those two things. You seemed to go on quite a journey before finally arriving at the musical persona of Murcof. It started in my teens when I bought a cheap Casio sampler. It had only about a five second memory for sampling, but it was enough to get me started. That led me to get more sophisticated equipment and I started to modify the music that I was listening to and, in the mid-to-late 1980s, to actually start composing, doing techno pop, acid house and industrial. Later, I joined a rock band. Initially we were heavily influenced by The Smiths but soon began to experiment with jazz and progressive forms. It was a school for to me to learn about various elements of music. At the same time I was experimenting with electronica, doom and death metal, noise and ambient. There was a time I was doing a lot of things, and then I began to focus on less. Right now I am only focused on Murcof. Do you still feel you are establishing your identity as a musician? I’ve always been interested in exploring, trying out different things. Each act of experimentation has left me with something. I wouldn’t even attempt to say I’m finished learning and I don’t want to think that I am. You enjoyed immediate acclaim with Martes and then followed that up with Remembranza, Cosmos and, most recently, The Versailles Sessions. They are each distinctly Murcof but, in many respects, are very different records. Prior to Martes I had already begun experiments with feedback and walls of noise, integrating classical stuff into death metal and electronica. Martes was like a continuation of that first attempt, an experiment. I was hugely influenced by Arvo Pärt. On Martes I studied the language of electronica and acoustic instruments, learnt how to use the tools. Remembranza is a more intimate and expressive work. It was actually dedicated to my mum. She passed away near completion of the album and it helped take me through the turmoil. Cosmos is more about what happens after life. It’s about those fundamental questions, “What are we doing here? Why am I alive?” Then The Versailles Sessions was about external rather than internal stimulation. It was a commission for the annual festivities at Versailles Chateau, so I went back to experimentation. The album comes from a couple of recording sessions we did in Paris with baroque instruments, their sound decided where to go and where not to go. And now, with Océano, you’re embarking on something different yet again. Yes, this work is new territory for me – working with live strings and trombone [with Spanish classical ensemble BCN216]. It’s all quite technical, but is primarily concerned with the dialogue between the electronica and real acoustic instruments. The visual element is intrinsic in creating the sense of immersion you generate with your performances. Is there a particular process by which you try and co-ordinate what the audience sees and hears? The synchronising with FlickR for Océano is more thematic than technical. It’s just about exploration, of making the visuals part of the experience, of receiving sound and visual stimulation at the same time. Mostly, though, it’s about having fun. The nuances and the subtleties, they almost happen by themselves. Have you any plans beyond Océano? You’ve been increasingly working on film soundtracks. Yes, there’s a new soundtrack that I’ll be working on in Mexico, with a director called Carlos Carrera. So I’m doing work for that, including a couple of new tracks. I also have plans to do a joint record with pianist Francesco Tristanto. This Océano tour will be a testing ground for some other new ideas that I’ve been working on. Beyond that, I’ve also been thinking of doing a covers album. I want to do it right, so I am still working on the idea mentally to see exactly which tracks I will do. It’s going to be both electronica artists and classical composers. That will perhaps be the next album after Océano. More information on Murcof - including a string of UK dates this month - can be found here.